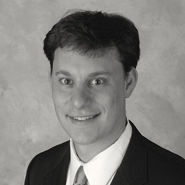 Seth Schwartz served as lead counsel for a dispute relating to contractual payments and title insurance for a large commercial shopping center in Toledo, Ohio. Our client appealed a decision of the Federal District Court. This dispute involved contractual interpretation issues, extensive discovery, extensive motion practice concerning the interpretation of the overlapping land agreements and applicability of the title insurance policy. The parties reached an agreement to the satisfaction of our client.